Hillcrest was a links-style course long before such courses became very popular over the past couple of decades. 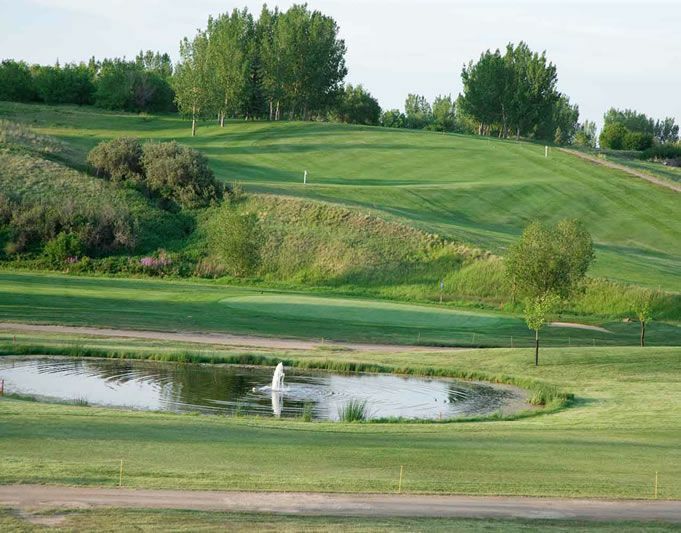 In fact, 2013 marks the 100th anniversary of this Moose Jaw landmark that first began as a modest nine-hole course. In 1919, the course became an 18-hole layout measuring 5,662 yards. Hillcrest became noted for its unique first hole tee. Players hit from a hill over the out-of-bounds and the railroad tracks to a fairway down in the valley. 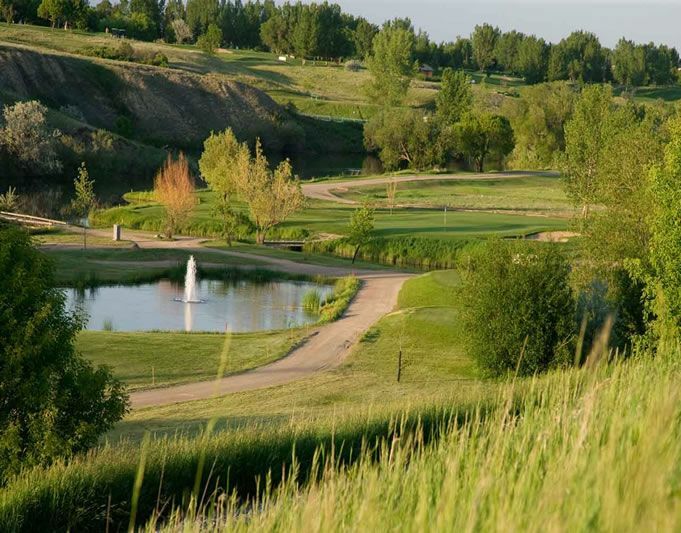 Over the years the course has been called Moose Jaw, Elks, Willowdale, and finally Hillcrest. 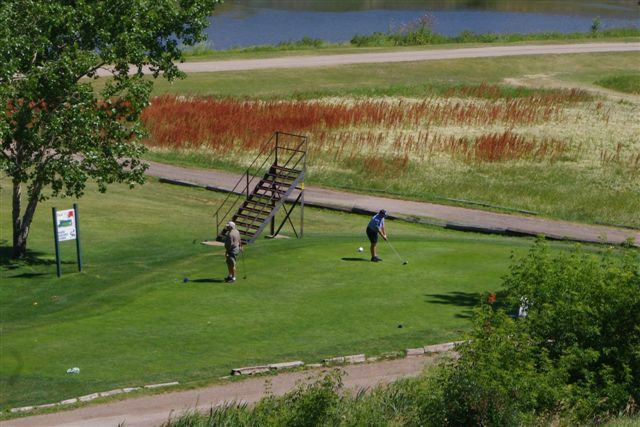 It’s also been called, and rightfully so, one of the best golf courses in Saskatchewan. The course has been lengthened so that, from the back tees, it measures 6,400 yards. From the longest tees, Hillcrest has a slope of 126, and the course rating is 70.3. 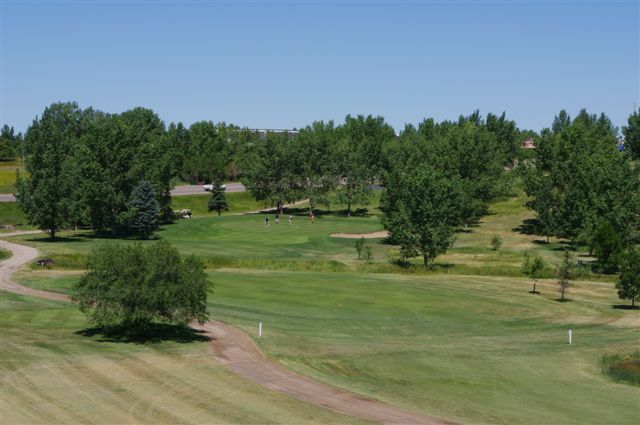 Get tee times in Moose Jaw here, and you’ll follow in the footsteps of many competitive golfers that played in tournaments here. Way back in 1922, the layout hosted the Saskatchewan Open. 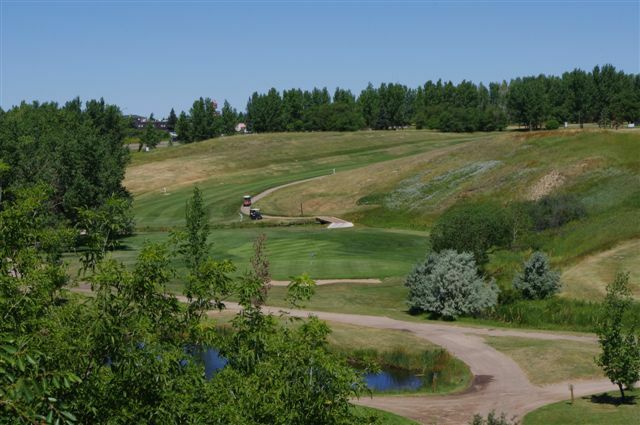 More recently it has hosted provincial championships for junior golf and senior-level golf. 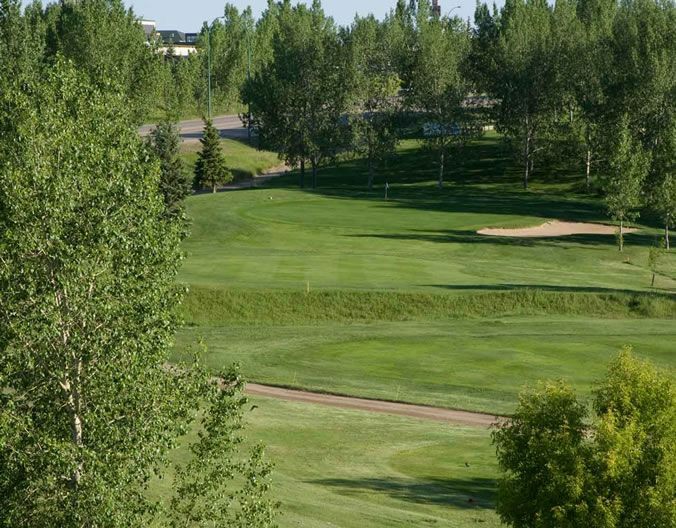 This Moose Jaw golf course is only a little more than a half-hour west of Regina. Some of the holes are tucked down in low-lying areas replete with ponds. In fact, water hazards appear on six of the holes. A spring-fed creek adds a pristine quality to the rolling landscape. Other holes rise up out of the valley to the surrounding ridges and rolling hills. Prairie grasses and poplar trees add to both the scenery and the challenge here. Elevation changes will taunt the newcomer with uphill and downhill club selection decisions. A day at Hillcrest combines fresh air, expansive panoramas, and the sound of breezes rustling the leaves and sweeping through the tall grasses. Facilities include a driving range, a practice green, and a short game practice area. The CPGA pro provides lessons, club fittings, and club repairs. Hillcrest offers a thorough inventory of the items you may want just before you tee off, like gloves, hats, balls, and jackets. Browse the latest name-brand equipment and high-quality attire while you’re in the pro shop. As a tournament-capable golf club, Hillcrest offers numerous amenities. Beverage carts ply the course during busier days. The restaurant offers sandwiches and a varied mix of entrees. The bar offers players a place to relax and relive the best moments of their rounds. Hillcrest Golf Club discount tee times will get you a championship-level experience at a good price. Hillcrest Golf Club is not yet in our pool of Golf Courses for orders.